So, finishing my rough draft (emphasis on "rough") was a big accomplishment for me. I was absolutely thrilled when I wrote "The End" and the first thing I did afterwards was to go online and buy some bedsheets. But not just any bedsheets. I bought these sheets that had surprised me in a catalog a couple days earlier. 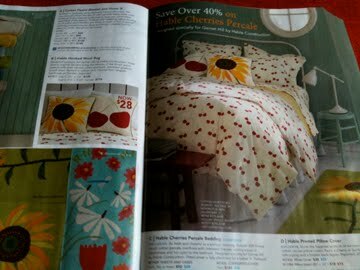 When I saw these sweet, cherry-patterned sheets on clearance I almost jumped (okay maybe I did jump, just a little hop). I had coveted cherry-patterned sheets over 10 years ago but was too poor purchase them. In 1999, with my extremely modest first book income (as well as part-time bookstore clerk wages) the luxury of matching sheets (no matter how pretty) was a frivolous expense. Rent and ramen noodles was all I could afford then, so the 2nd best thing was to clip the catalog pages and keep them as a little dream. 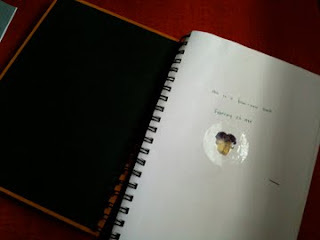 That I made come true 10 years later! A nice little personal reward, don't you think?